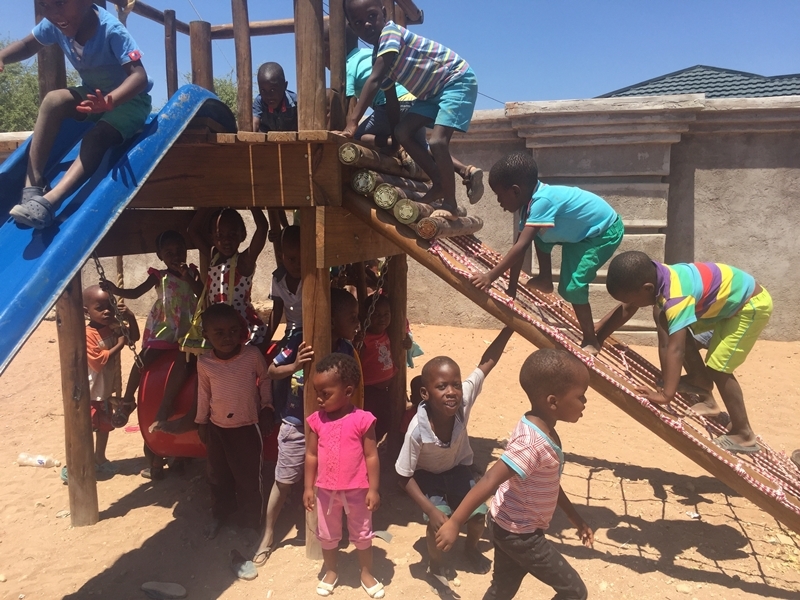 Last October, we told you about Nancy Nehoray who, in addition to our own EcoProducts Foundation contribution, so generously donated swings and jungle gym to Tshedza Pre-School. 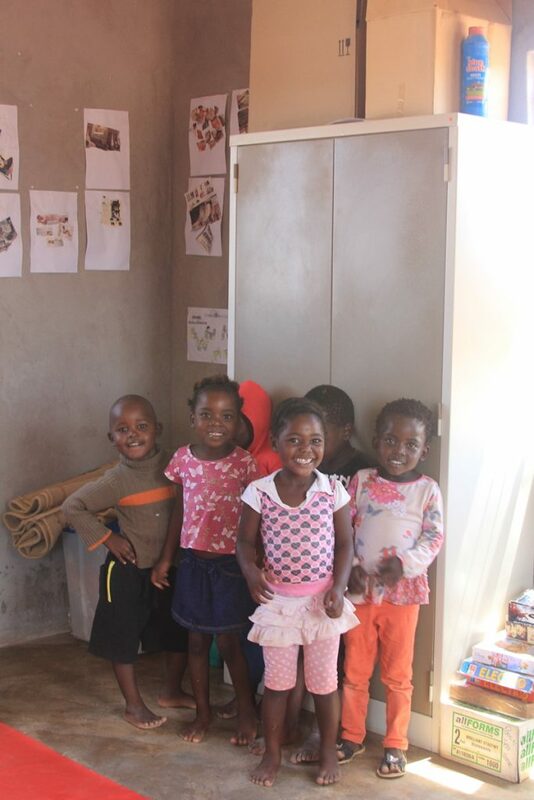 Tshedza Community Creche is in Muswodi Dipeni Village. It has very dusty hard grounds with nothing for the children to play on outside the classroom (except for a few old car tyres) until this jungle gym and swings were constructed. It was wonderful to watch the children enjoy themselves, playing outside on their new jungle gym! In addition, Nancy also helped with chairs and tables for the classrooms. 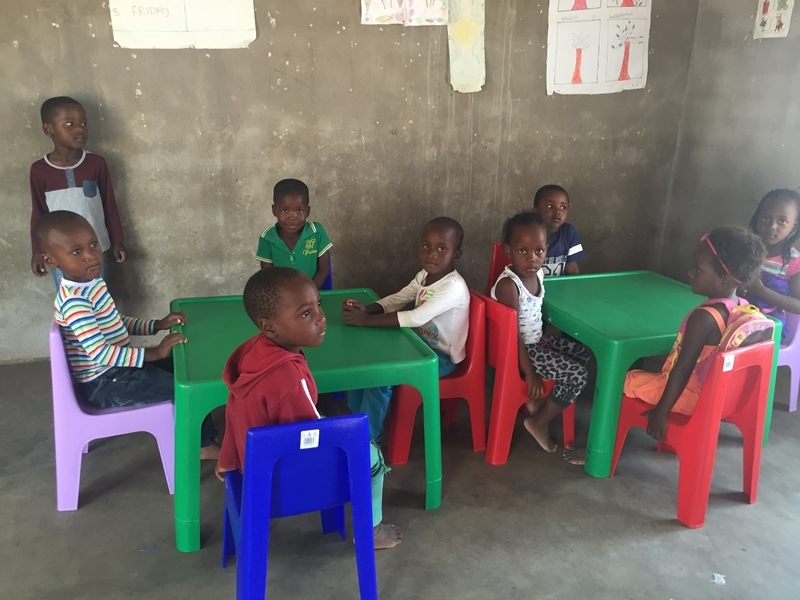 Tshedza Pre-school did not have any chairs and tables for the kids to work on. They were working off the cement floors. Nancy also gave Tshedza some mattresses for the toddlers to have their afternoon naps on. Again, in the past they only had blankets on the hard floor. And lastly a metal lock up cabinet for Zwigodini school books and documents to be stored in. I decided to create the EcoProducts Foundation (a non-profit organisation) when I realised that simply providing employment to local Venda communities wasn’t enough. I wanted to do more and decided to support pre-school creches and early childhood development, which in these rural areas is very neglected.